The ceremony it's self was at The Carriage Hall where we had a lovely Christmas wedding feeling with a huge 15 ft Christmas tree taking pride of place in the corner of the ceremony. 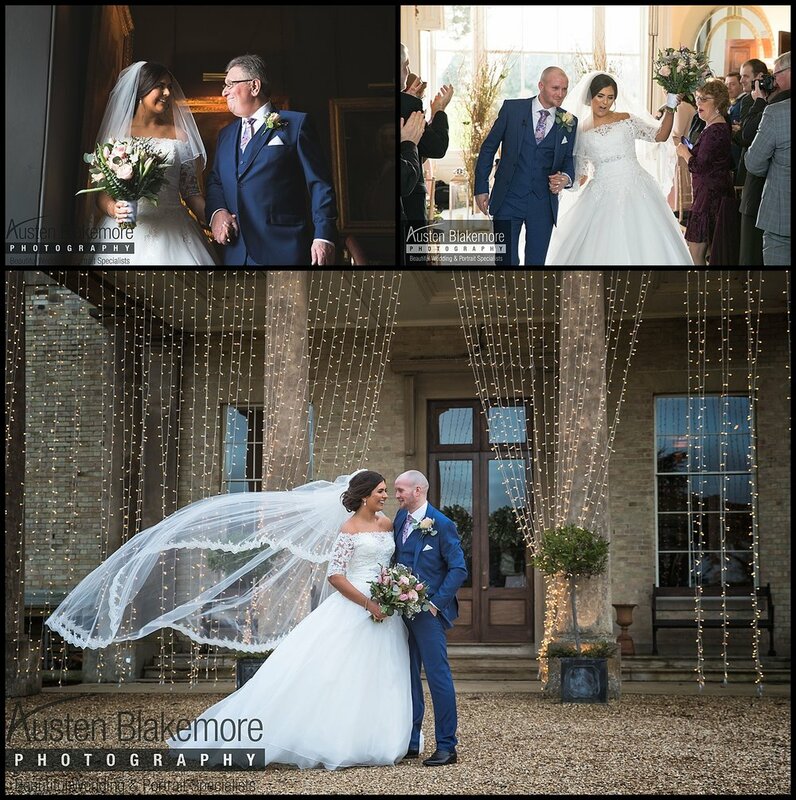 Although it was cold we still managed to get outside in the crispy December air and take some lovely Bride and Groom portraits of the newly married Mr and Mrs Hutchinson. 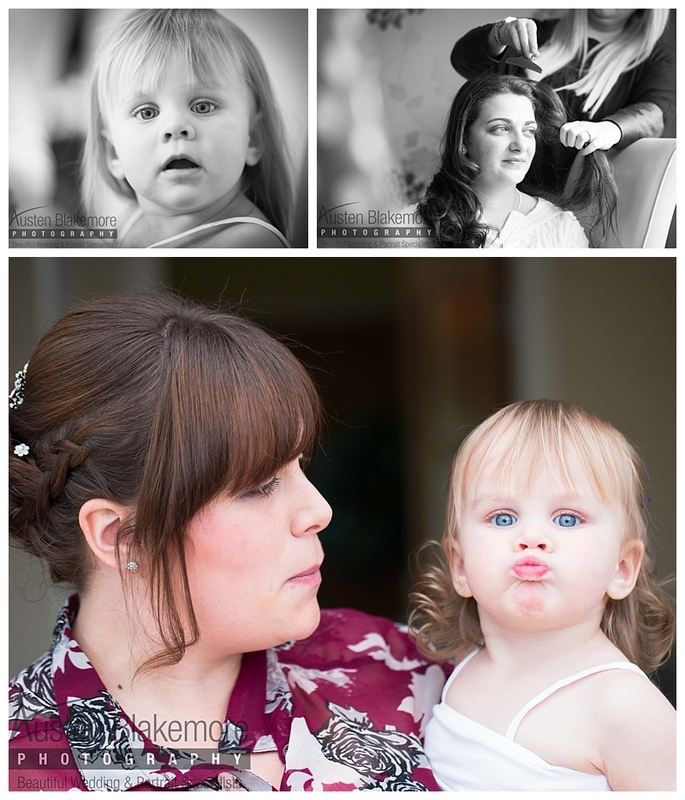 If you like my work and your looking for a Nottingham Wedding Photographer to capture all those natural images I would've to hear from you. Most memorable moment: Berocca "You, but on a really good day"
Ahh what can I say, well firstly let me point out that i've completely failed my November resolution of blogging once a week !!!! What an atmosphere Anna just wasn't phased by anything, we arrived at the Bridal perp and had a brief chat with her whilst she was in the bathroom having her makeup applied, Anna had just got over having what they call "woman flu"
She was nervous but ready to take on the day and make her way down the isle to her Husband to be Ciaran who was probably a little more nervous than she was. Anna was so relaxed and almost word for word she said "just do what you doand capture my day how you see it" on that note off we went to capture all those beautiful memories for what was soon to be Mr And Mrs Ditch. Stubton Hall is amongst one of my favourite wedding venues I shoot at, the grounds are simply stunning and if the rain shows up the inside rooms are just as beautiful as the grounds outside. Well due to Anna having just got over "Woman Flu" the number one requirement was obviously her packet of Berocca !! 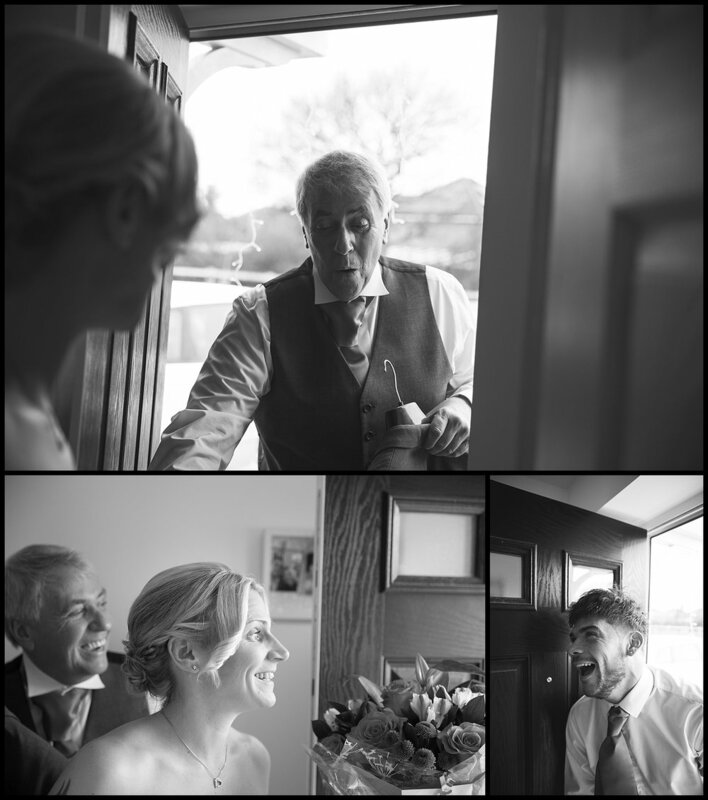 The closer the time drew in towards 2pm the more excited and anticipated she became, her nerves had passed and this Bride was ready for one of the most amazing days of her life, personally given the chance I think she would have ran down the isle to Ciaran. We were at 1:30 and gifts had been passed around the Bridesmaid and tears had very much been shed along with the compulsory Girl Hug, this bridal team were so ready !!!! 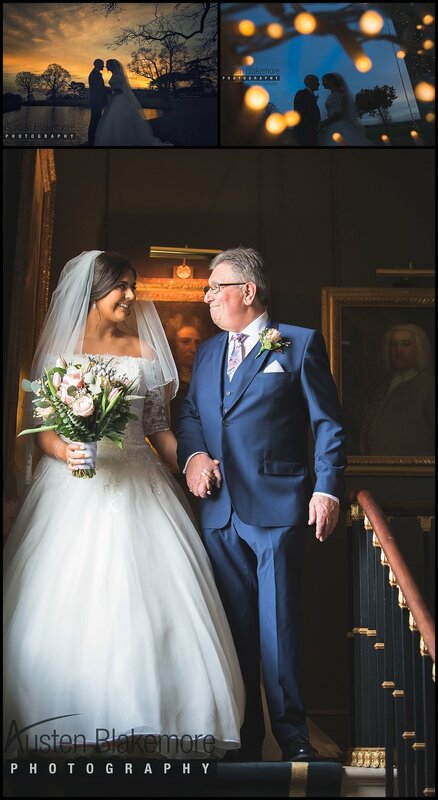 Anna's dress was on and Dad was outside the bridal suit door ready to set eyes on his daughter in her absolutely stunning wedding dress, Dad was emotional as he opened the door to see his daughter stood there so proud eager to hold her Dads hand as they set off for the ceremony room. 2pm and I'm at the top of the isle with Ciaran who is patiently awaiting his bride to make her grand entrance with a very proud Dad by her side. 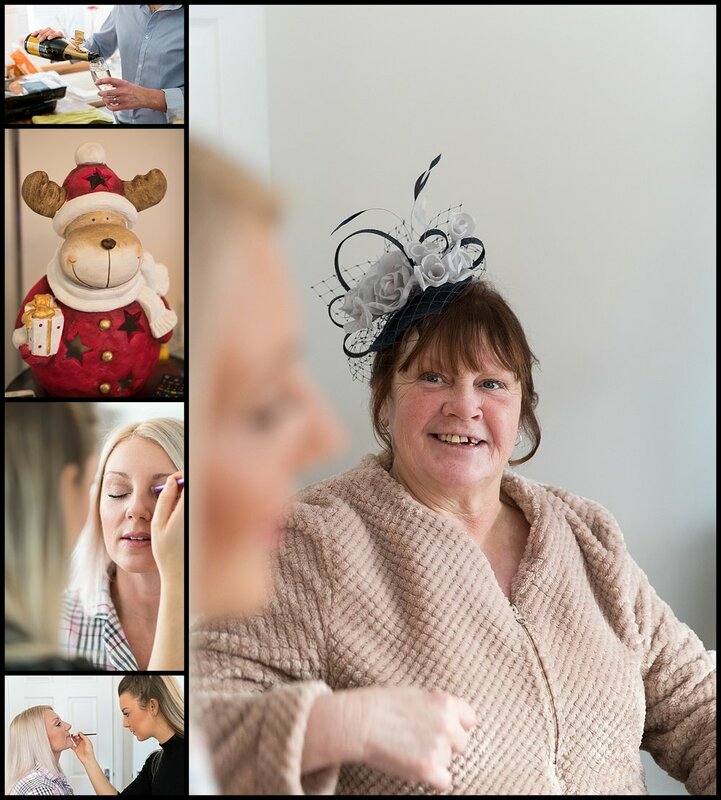 "You, but on a really good day"
If you are still looking for a Nottingham Wedding Photographer to capture all those magical candid moments please feel free to contact me. 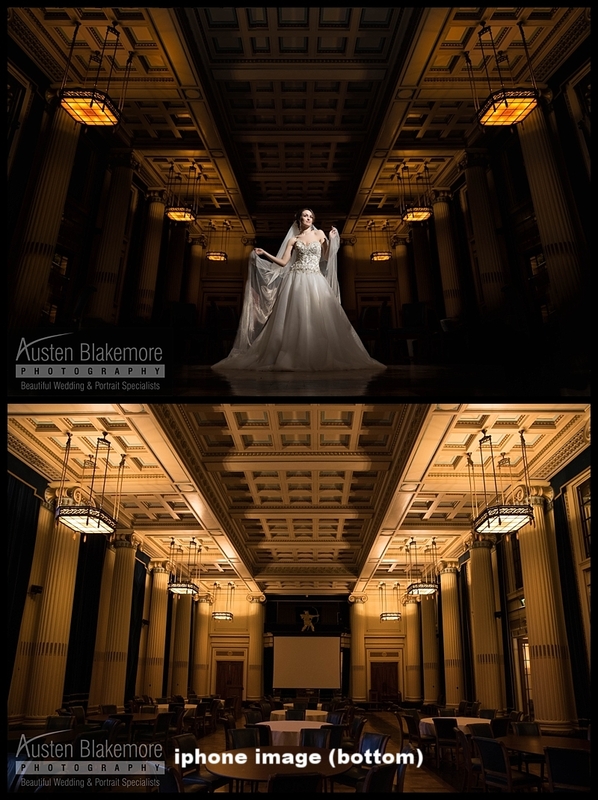 On Wednesday I had the Nottingham Council House to myself along with the stunning model Becky Wrench and a beautiful dress from Brides And Gowns. This shoot had been booked with Jenny and the team for over a month, the plan was to capture a WOW image within the Nottingham Council House for their new website that is currently in the design stage. 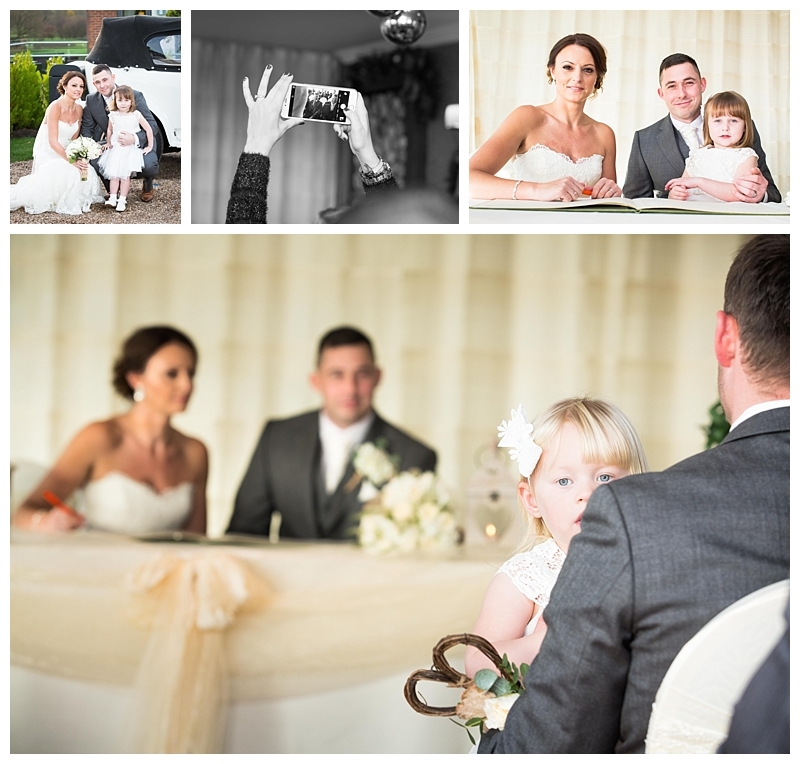 We had an amazing day and captured some absolutely stunning images within this grand Nottingham Wedding Venue. As a full-time Nottingham Wedding Photographer I have photographed so many wedding here throughout the years but now I finally managed to spend the entire day here rather than just my average 90 minutes. Below are just some of the images we captured along with a few images showing how the images looked without and off camera flash lighting. Thank you Jenny and the team for making us all feel so welcome. We had a great morning at Mercure Hotel in Nottingham and Amanda was literally ready and heard up to almost run down the isle to husband to be Gary. 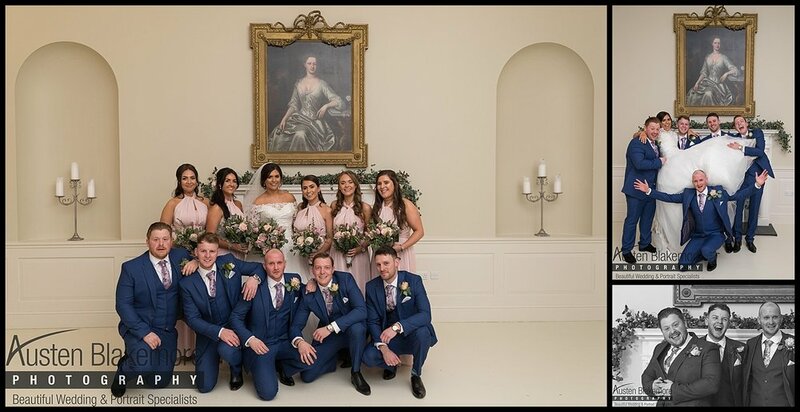 As with so many of my weddings in 2015 I was working with Tamla and Danielle from Lilly Monroes has And Makeup I love working this very talented sister team, be sure to have a look anther website for more information. Amanda was picked up by her stunning vintage car just before 1pm, all ready for her arrival to walk donw the isle at 1:30pm, as always she was greeted by Claire and the team at The Nottinghamshire Golf And Country Club who were on hand to make sure everything runs as smoothly as it always does at The Nottinghamshire. Amanda was to walk down the isle with her father who would give her away to husband to be Gary, Gary was cool although I must admit a little nervous he was playing thing very cool, not ever a drop of sweat to be seen on this very lucky mans brow. Entertainment in the evening was supplied by none other than the very talented Paul Grundle Magician, as always when ever Paul is in the room the guests are mesmerised by his magic trick and entertained by his lighthearted comedy and entertainment, don't forget to view Mr And Mrs Brown blog where Paul was also their magician. 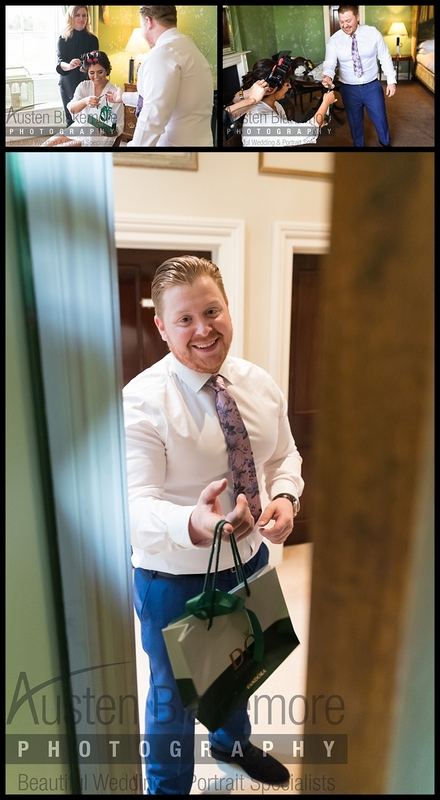 Amanda and Gary...... Where do I start, you were both so relaxed and enjoyable to work with, Amanda your laughter was congatious, I will never forget your speeches for such a long time as I'm sure you will never forget your hangover the next day. I arrived at 9:30am to a stunning house just set back down a little lane, a knock at the door and Dad opens the door "Good luck there women are straight through there"
The atmosphere was so relaxed, I was in great company here working with faces I already knew, our makeup artist was Samantha at 107 Health And Beauty based in Long Eaton. Hollie and Lewis's wedding time was at 1pm and as always the timings and the running of the whole event was impeccably organised by Claire and her team at The Nottinghamshire Golf And Country Club, Hollie and Lewis's sit down meal was at 4pm allowing us all plenty of time to capture images and take in such a lovely atmosphere and surrounding of this beautiful venue. 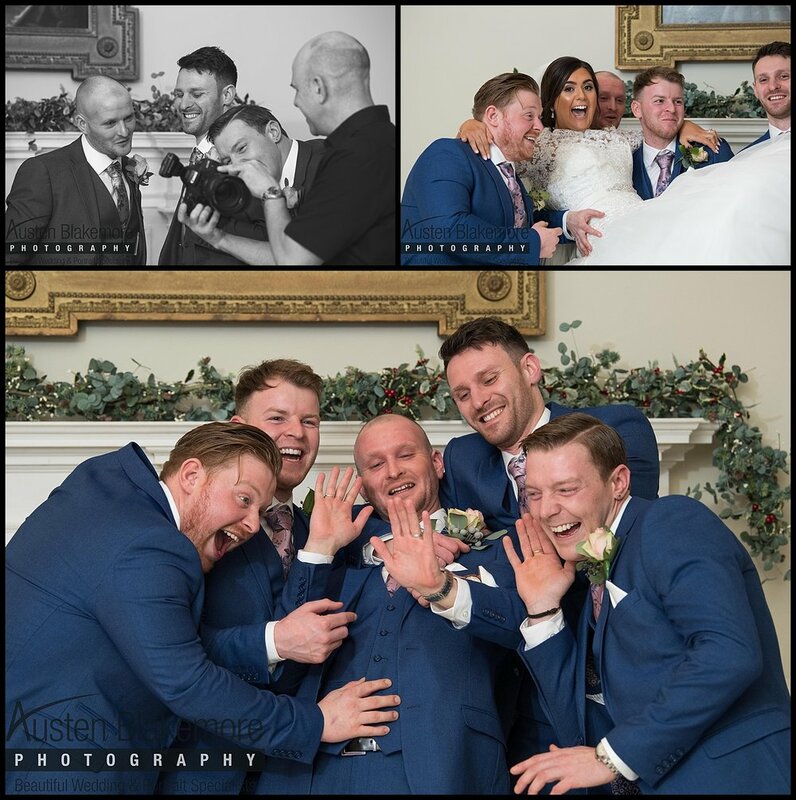 It was cold, in fact it was VERY cold but this didn't spoil the mood and it sure as well didn't stop anyone smiling and having a laugh, as always with most of my bookings the entertainment was supplied by the fantastic Paul Grundle Magician. If you are looking for a Nottingham Wedding Photographer I would love to hear from you on my contact page if you like my work.